(Nanowerk News) For decades, scientists thought that the magnetic field lines coursing around newly forming stars were both powerful and unyielding, working like jail bars to corral star-forming material. More recently, astronomers have found tantalizing evidence that large-scale turbulence far from a nascent star can drag magnetic fields around at will. 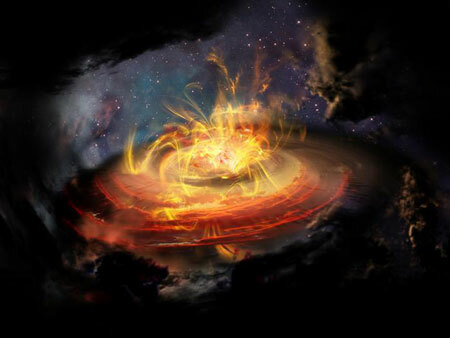 Previous observations with other telescopes found that magnetic fields surrounding some young protostars form a classic "hourglass" shape - a hallmark of a strong magnetic field - that starts near the protostar and extends many light-years into the surrounding cloud of dust and gas. "Before now, we didn't know if all stars formed in regions that were controlled by strong magnetic fields. Using ALMA, we found our answer," said Charles L. H. "Chat" Hull, an astronomer and NRAO Jansky Fellow at the Harvard-Smithsonian Center for Astrophysics (CfA) in Cambridge, Mass., and lead author on a paper appearing in the Astrophysical Journal Letters ("Unveiling the Role of the Magnetic Field at the Smallest Scales of Star Formation"). "We can now study magnetic fields in star-forming clouds from the broadest of scales all the way down to the forming star itself. This is exciting because it may mean stars can emerge from a wider range of conditions than we once thought." 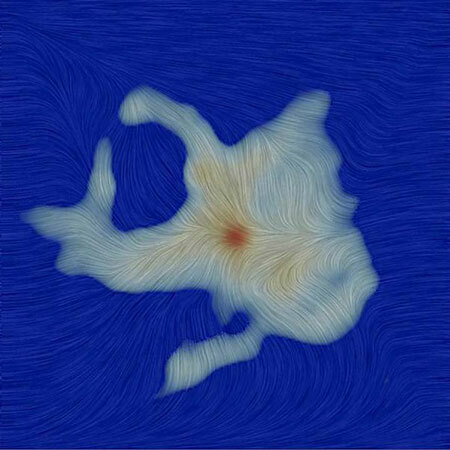 By comparing the structure of the magnetic field in the observations with cutting-edge supercomputer simulations on multiple size scales, the astronomers gained important insights into the earliest stages of magnetized star formation. The simulations - which extend from a relatively nearby 140 astronomical units (an astronomical unit is the average distance from the Earth to the sun) from the protostar to as far out as 17 light-years - were performed by CfA astronomers Philip Mocz and Blakesley Burkhart, who are co-authors on the paper. In the case of Ser-emb 8, the astronomers think they have captured the original magnetic field around the protostar "red handed," before outflowing material from the star could erase the pristine signature of the magnetic field in the surrounding molecular cloud, noted Mocz. "Our observations show that the importance of the magnetic field in star formation can vary widely from star to star," concluded Hull. "This protostar seems to have formed in a weakly magnetized environment dominated by turbulence, while previous observations show sources that clearly formed in strongly magnetized environments. Future studies will reveal how common each scenario is."